This particular moment stuck with Egan, a Freeport High School senior, and in a meeting to discuss her senior project with classmate Maya Bradbury the topic came up. At this point, the duo had heard about the school walkouts planned for March 14. Egan expressed her desire to participate, and not long thereafter, they launched a Facebook event to reach the fellow students. 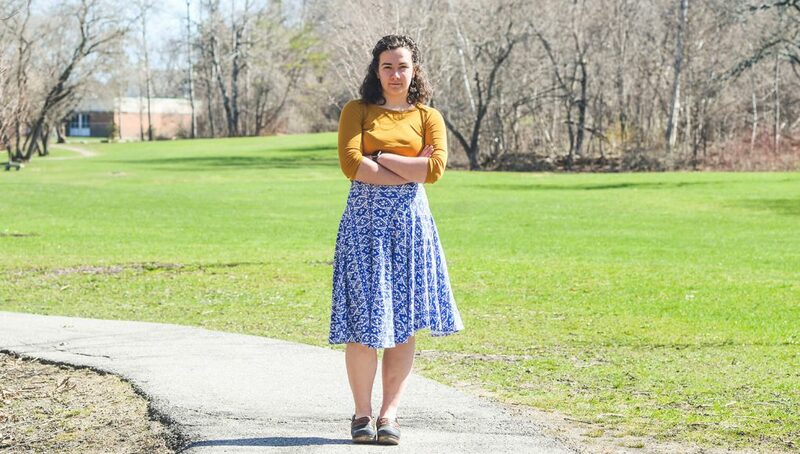 Ultimately, many Maine schools were closed on March 14 due to a snowstorm, but Egan still gathered with her classmates on Freeport’s Main Street. She estimates about 50 students showed up with 20 parents who joined in. Growing up, Egan recalls talking about politics with her parents, older brother and older sister. After the November 2016 presidential election, her casual interest in politics turned into a passion. Prior to organizing the March 14 walkout-turned-snow-day-rally, she attended a protest against President Trump’s ban on immigration. Maya was especially excited to be old enough to register to vote and cast her first ballot in November 2017. When House Speaker Sara Gideon asked Bennell if any students would testify in favor of LD 1884, the so-called “red flag” bill, Bennell immediately thought of Egan and a few of her classmates. Born after the 1999 Columbine shooting, Egan is among a generation of students who live with an underlying fear of gun violence. In a recent analysis by the Washington Post, an estimate of more than 187,000 students attending at least 193 primary or secondary schools have experienced a shooting on campus during school hours. While Egan admits she does not dwell on this daily, it is in the back of her mind. “I’m not against guns,” says Egan, who understands gun ownership is a reality here in Maine and across the country. “I definitely believe in the Second Amendment. 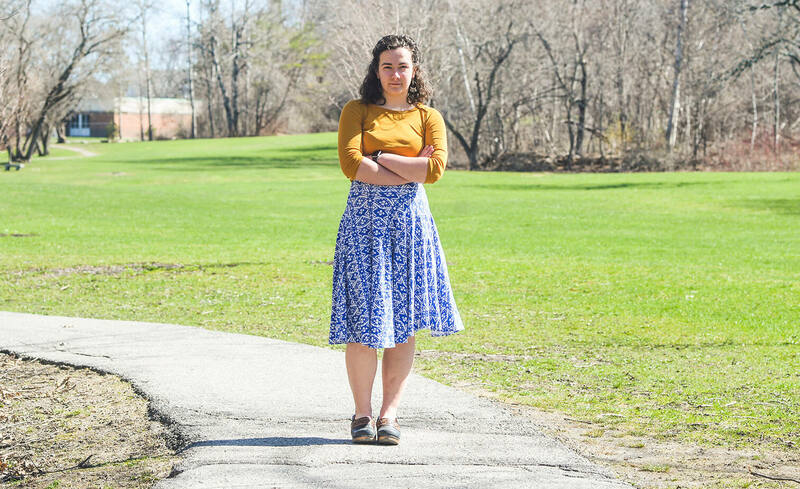 It’s in the Constitution for a reason.” However, the topic has guided her senior project. 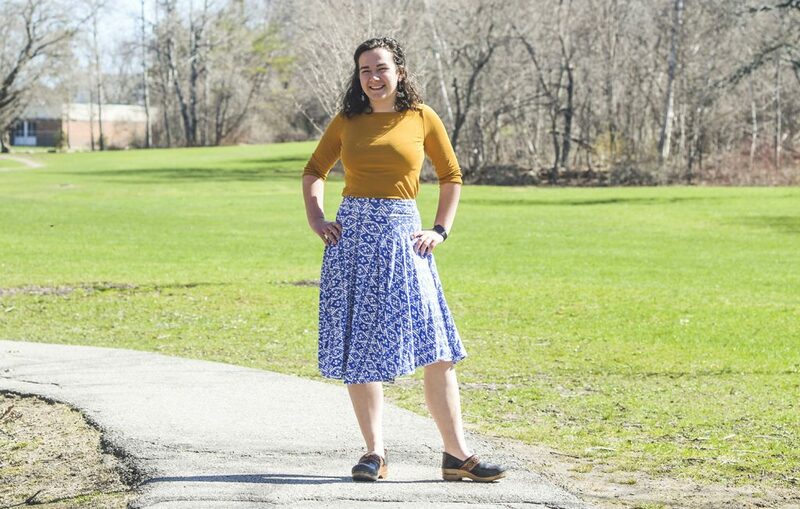 She and Maya Bradbury are drafting a citizen initiative to reverse the 2015 decision to allow Maine gun owners to carry concealed weapons without a permitting process. In the fall, Egan will head off to Clark University in Worcester, Massachusetts. She has yet to declare a major, but knows she will study history and political science. “I’m fascinated how history has impacted what is happening today, especially with government and politics,” she says.